The review in Klang + Ton 2/2006 was excellent. After the Descartes I, his first masterpiece, Dennis Frank developed the Descartes II. His goal was to produce a loudspeaker with an extremely high efficiency. 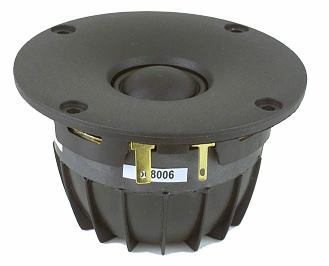 For this the Alcone AC 15 with 94 dB (2.83V/1m) is just the right thing. The two Alcone AC 6.5 HE also reach the required efficiency. 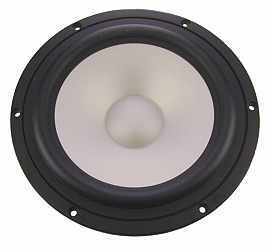 Since this driver does an excellent job in a speaker like the Pascal, it was the natural choice for the Descartes II. There was still the question which bass driver should be used: sure, there are quite a few that have an efficiency of 94 dB, but then the cabinet might get too big or there is not enough low bass. Dennis Frank chose a different way. The bass had to be active. Two Alcone AC 8 HE are the perfect solution. The Descartes II is available with a digital signal processor and two power amplifiers (one for each subwoofer channel). 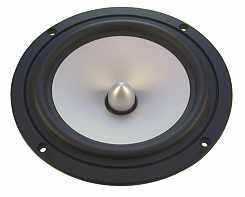 In addition we deliver for the mid speaker and the tweeter a highend passive crossover. For internal wiring 6 metres of Inakustik Premium Silver (silver plated) with 2x2.5 mm2 are included.